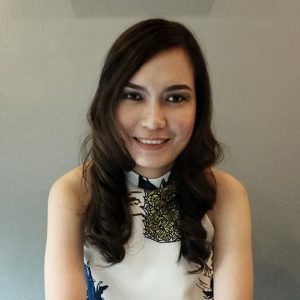 Jane Martinito is the founder of Meiro Studio, a fast-growing web design and virtual business based in the Philippines. She is a Psychology graduate with excellent grades but she eventually found her passion in designing websites. She was included in the Top Filipino Professionals on LinkedIn to Follow in Marketing in Asia. She was also featured in Connected Women and appeared on STV, a social media television in the Philippines. Aside from creating websites, Jane is also passionate about LinkedIn. Through the influence of her mentor and LinkedIn expert, Virginia Bautista, she became a LinkedIn Local Host in Cavite. As her way of returning the favor, she’s made it her mission to educate all Cavitenos and Filipinos about the power of LinkedIn for one’s social media marketing strategy depending on goals, audience, and tactics. Tell us about Meiro Studio. How did you come up with this idea? Jane Martinito: My husband and I established Meiro Studio, a web development company which caters to the different needs of our clients. We specialize in creating functional and beautifully-designed websites that are aimed at having a premium appeal to our prospective clients. We also offer digital marketing services to help our customers use lead conversion strategies to boost their businesses with little or no cost at all. We are committed to using current technologies to enhance the services we provide to our customers. We are also aware of the importance of innovating and learning new technologies to further improve and maintain our relevance to our current and prospective customers. Me and my husband came up with this idea of establishing and managing a business together based on the realization that it is one of the great ways to spend more meaningful time with each other. We consider it as the ultimate expression of our passion in designing websites. Our plan is to have a business whose employees can have the luxury of working at the comfort of their homes, avoiding the heavy traffic that consumes important working hours. We only require our employees to come to our office when the need of discussing important business and production issues arises. We decided to adopt telecommuting to improve our employees’ quality of life, as working at home typically reduces commuting time. It may also make it easier for our employees to balance their work responsibilities with family roles, such as caring for children or elderly parents. In this way, we make sure everyone is at the top of their performance. How did you promote your company in its early days? Jane Martinito: The first thing I did was to find a way to make myself visible on the freelancing community. Along the way, I met Ms. Virginia Bautista, a LinkedIn advocate, professional trainer, and a motivational speaker. She mentored me on how I can harness the power of making connections by using the social media platform, LinkedIn. From there, I gradually attracted clients and some of them were high-paying clients. I also surrounded myself with individuals who share similar skills, interests and passions as me and learned from them. I also promote my business on Facebook. Some clients got to know my business through “word-of-mouth”. Jane Martinito: I utilize social media platforms, primarily Facebook and LinkedIn, for promoting my business. I make sure that my website is optimized to achieve my business goals. I also focus on providing added value to my customers when I conduct sales calls with them. This social media-based marketing strategy also helped me reap the benefits of the power of “word of mouth” marketing. What are the secrets to making sales through your most successful platforms? 1. Technical – This important factor requires me to be knowledgeable of the various nooks and crannies of doing business. It involves knowing who your targeted market is by, for example, knowing their concerns and where (social media platform) they spend their free time. It also covers providing and posting valuable and relevant content on my social media platform. I prefer to post educational, inspirational and entertaining contents to catch the attention of prospective customers. Since technology evolves at a faster rate than before, I make it a point to learn something new by being vigilant and aware of current and upcoming technologies and trends. 2. Relational – Being relational means living in relation to others in recognition of an interconnectedness with others. No business can stand alone as entrepreneurship involves a lot of communicating, engaging, interacting and dealing with others. Teach us something we don’t know about that interest you. Jane Martinito: I strongly believe that every person has his own strengths and weaknesses. Some are good, or even expert in literature, creative writing, and some are gifted with technical expertise that others usually struggle with. In short, every individual has his or her unique talent that can be shared with others to achieve desired goals in life. Sometimes I find it very challenging to be in a position where I am the one providing knowledge to other people, who I assume, to be more intelligent than me, but as I’ve mentioned earlier, every person has his or her own expertise that others do not have. As long as I’m committed to learning new things and have the courage to go out of my comfort zone, I am confident that I can be of great help to others. Information is more accessible than before due to the Internet and other online information sources, such as ebooks, online journals, podcasts and blogs. The need to continuously keep myself up-to-date is also based on the reality that algorithms change from time to time. Entrepreneurship is all about relationships, having the right attitude and values, so stick to that. Why do you think you are doing better than most people? How are you able to do it? Jane Martinito: I don’t disregard the fact that there are people whose level of expertise in our chosen field are higher than me. However, I am confident that having web-designing skills that were acquired through constant learning and practice helps me maintain a competitive advantage over my peers and competitors. I don’t just create functional websites, but also beautiful and attractive websites that can stand out from the crowd. I also strongly believe in the importance of market positioning. I positioned myself utilizing Facebook and LinkedIn to effectively establish my image and the identity of my brand so that consumers can perceive it in a certain way. I believe that I can achieve my goals by focusing on my personal “why.” We live in a world filled by constant distractions. Unlimited activities float around us at all times that can take our attention and sap our energy. We can make life simple and easier by stopping and asking ourselves why we do things. This strategy helps us be more consistent and focused on what we should do. We can never go wrong when we put ourselves in the service of others. And most importantly, enjoy the process. You are going to get there eventually. Jane Martinito: My vision for the company is that it will grow into a corporation and be among the best in providing employment opportunities for people, especially those who prefer to work at the comfort of their homes. I expect my startup company to adopt the latest technologies and trends to uplift the lives of our employees and customers alike. I also see myself having more quality time with my daughter while managing daily business operations. Jane Martinito is the founder of Meiro Studio, a fast-growing web design and virtual business based in the Philippines. She is a Psychology graduate with excellent grades but she eventually found her passion in designing websites. She was included in the Top Filipino Professionals on LinkedIn to Follow in Marketing in Asia. She was also featured in Connected Women and appeared on STV, a social media television in the Philippines. Aside from creating websites, Jane is also passionate about LinkedIn. Through the influence of her mentor and LinkedIn expert, Virginia Bautista, she became a LinkedIn Local Host in Cavite. 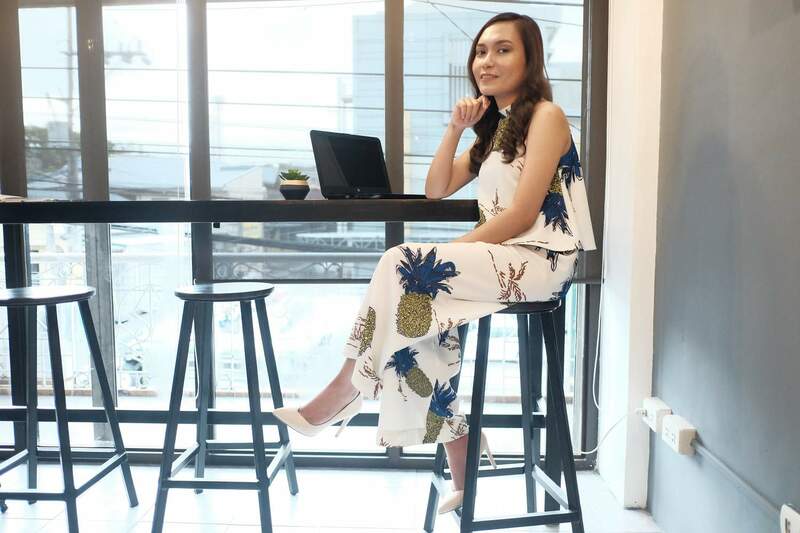 As her way of returning the favor, she’s made it her mission to educate all Cavitenos and Filipinos about the power of LinkedIn for one’s social media marketing strategy depending on goals, audience, and tactics.